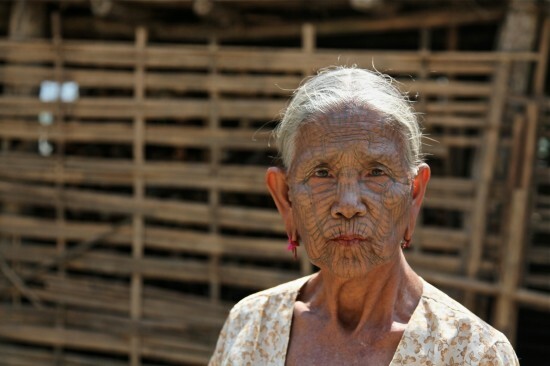 For generations, the village women of Burma’s Chin Province have tattooed their faces as a symbol of strength and beauty, but this tradition is dying out as a result of globalization. 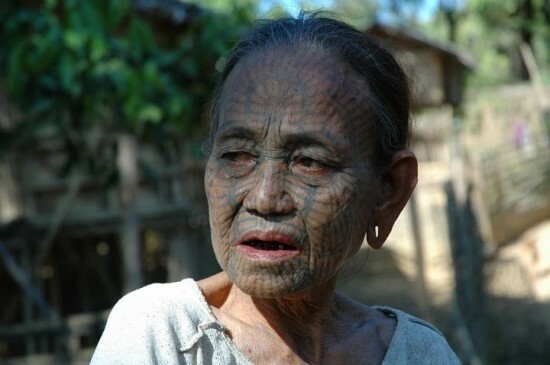 Luckily, photographers have traveled to Burma to capture the beauty of these tattooed-face women before there aren’t any left. According to Chin elders, the practice of tattooing women’s faces started a long time ago, to prevent women from being taken away by the Burmese kings, who had heard about the beauty of Chin women and teenagers. They would come to villages across the province and just pick out the girls they wanted to take away with them. With no other means to defend themselves, the village elders, who were also women, began tattooing the girls’ faces, thus taking away their beauty. Although it started out as a way of making women less appealing, face-tattooing gradually evolved into a symbol of feminine beauty and toughness. Women started considering themselves beautiful, and some even told the Canadian photographer that men wouldn’t have married them if they didn’t have face tattoos. 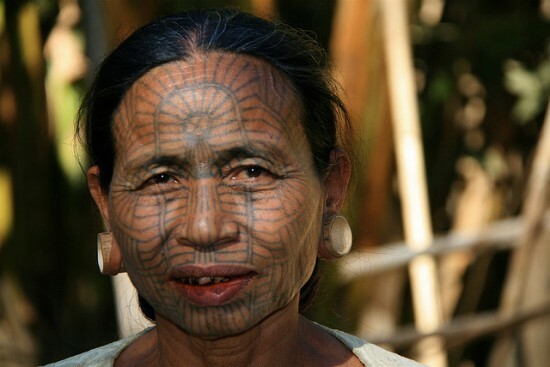 Women of certain tribes get different tattoos, and even though they might not look too appealing to us westerners, they’re appreciated in the tribal societies of Burma’s Chin Province. Getting a full-face tattoo is as painful as you can imagine, and the young girls, aged between 11 and 15 had to be held down by other villagers in order to bear the excruciating pain. The ink used for the tattoos comes from a special plant that some tribes mix with buffalo kidney, and is hammered into the skin with an instrument much like a sturdy pine needle. Most of the girls were terrified during the process and said they couldn’t open their eyes or speak for a week, because of the swelling, but it was just something they had to go through to be considered beautiful. But as in other parts of the world, times are changing and extreme traditions like these are slowly becoming extinct. Although the older face-tattooed women still see it as a symbol of beauty, they don’t want their young girls to feel ashamed or be the subject of ridicule just because they look different. Globalization, the fact that cultures and people connect a lot more than they used to is changing everything, even in remote areas like Burma’s Chin Province. Making women unappealing to save them from being kidnapped isn’t unique to the Chin Province. The Apatani women, in India, used nose plugs to make themselves ugly to the raiding neighboring tribes that took them away.